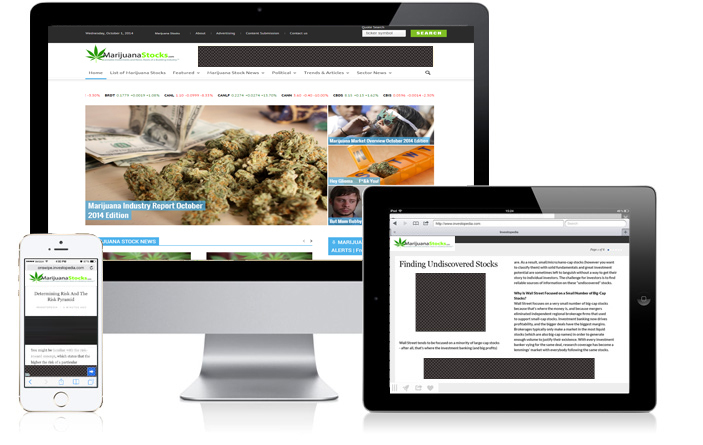 MarijuanaStocks.com can help you reach the right audience within this budding industry. We connect deeply engaged audiences seeking marijuana industry, political, retail & financial insight with marketing messages from trusted advertising partners. Leverage our comprehensive suite of advertising products to create a successful marketing strategy, from branding to direct response. >> Email Advertising@MarijuanaStocks.com for more info.